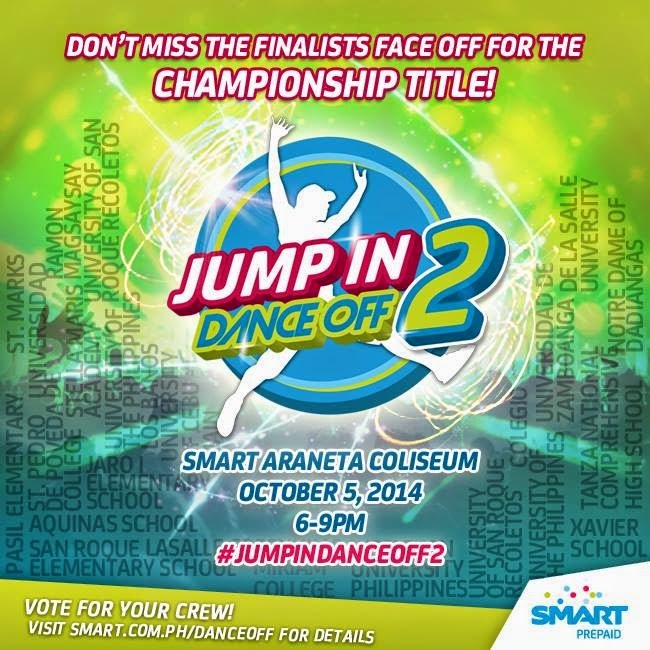 Jump In Dance Off 2, a super explosive dance battle formed by Smart Communications, was held at the Smart Araneta Coliseum on October 5, 2014. 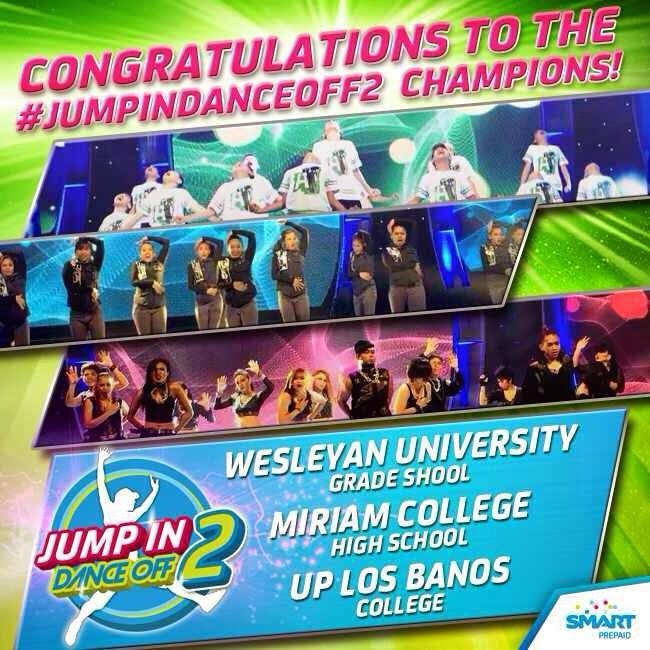 Three (3) schools emerged as champions: Wesleyan University (Grade School), Miriam College (High School) who also won last year, and UP-Los Baños (College). 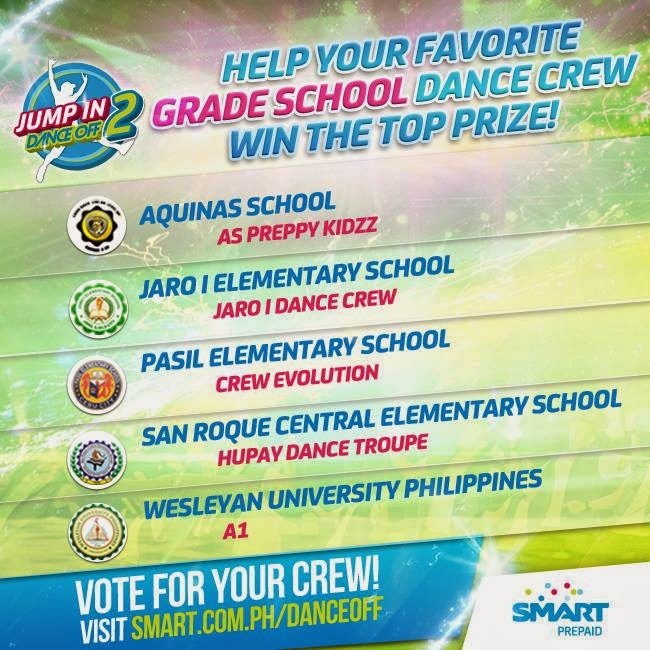 Jump In Dance Off is considered the largest inter-school dance competition in the country today. The Grade School Division has 5 finalists, High School and College Divisions have both 9 finalists. A total of 23 groups battled out their dance prowess on stage. 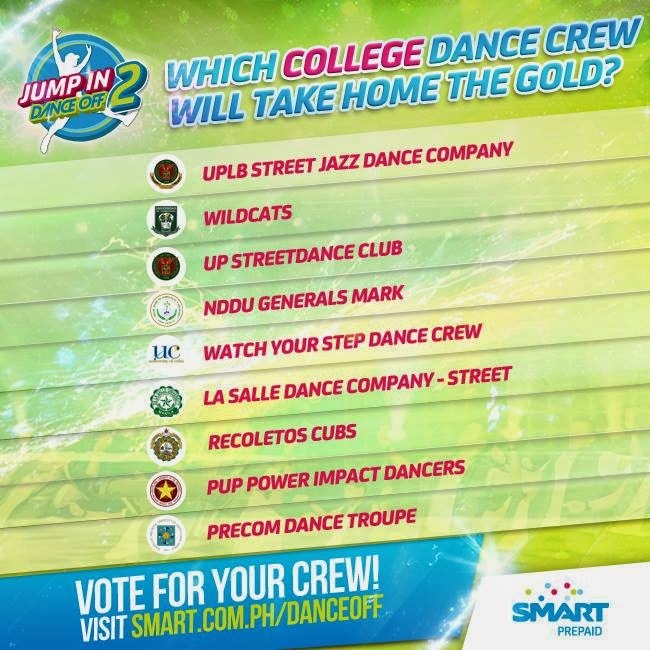 Interested groups made a video with all the members showing their best moves to their choice of music and submitted it online via the official contest site www.smart.com.ph/danceoff. 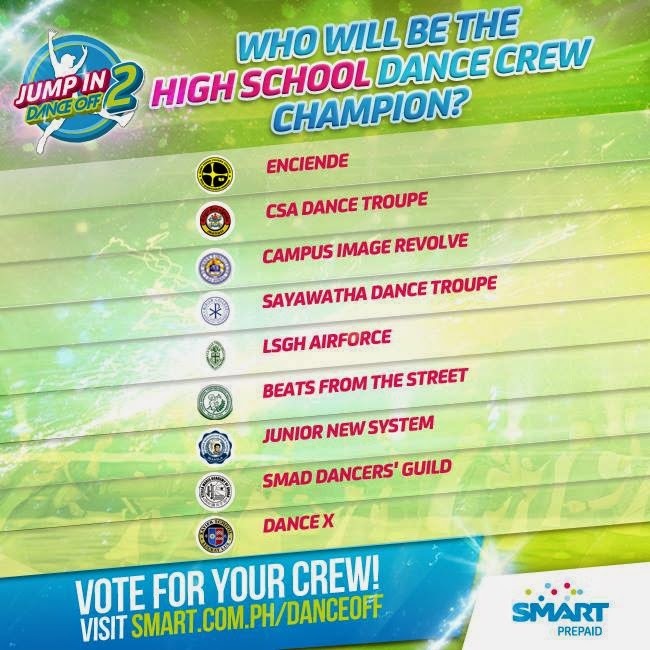 Each dance group composed of 12 to 16 members for elementary, high school and college categories. The members of the group are either all males, all females or a mix of males and females, with ages from 10 to 24 years old. Those who passed the online auditions were invited to the live regional screenings in the different areas of the country last August and September. Dance groups were judged based on their visual and artistic expression, technical execution, musicality and overall effectiveness. The top teams per division were chosen to compete in the grand finals. Note: Photos & other Videos will be uploaded soon. Please come back.